This organizational drag can often lead to frustration and a lack of productivity for everyone involved. Employees do not feel motivated to start work on time. Teams often fail to meet expectations and productivity plummets over a period of time. This can especially be hard to watch for a management team that expects their workforce to perform. Despite state-of-the-art systems and talented workforce, the organization fails to achieve its potential. This crisis can easily be averted if efficient communication is given a priority instead of apps that promote idle chatter and noise. Office Chat is designed specifically to improve productivity and enable a noise-free environment for employees and teams. With Office Chat, it is quite easy to reduce the waiting time involved with asynchronous emails and also eliminate the excessive disturbance of unproductive, bot-enabled instant messaging apps. Team or department: With Office Chat you can create groups based on various departments such as sales, accounts, human resources, etc. This will ensure that people belonging to those departments will get a platform to communicate and share their feedback. Projects and accounts: Also Office Chat enables you to create groups based on specific projects or accounts. This can be very helpful for support and sales teams. Also if it requires to have group of people with different functional expertise, you can involve and give unique space to interact with Office Chat Adhoc groups. Region: Office Chat is a cloud-based platform that supports and encourages you to involve employees irrespective of their time zone and locations. Thus, remote employees as well as users in multiple offices are able to interact efficiently. Also you can create groups based on multiple locations so as to update them based on their region. eg: Sales New York, HR Beijing Team, etc. Functions: Often employees with the same job description have to work under different teams or projects. Yet the policies and announcements for these group of people remain the same and it becomes important for the management to inform each of these employees. These groups can be named as Sales Announcements, CSR, etc. Naming these groups appropriately will help to keep conversations focused and involve only relevant people engaged. Also, naming groups in a predictable way makes them easier to search. 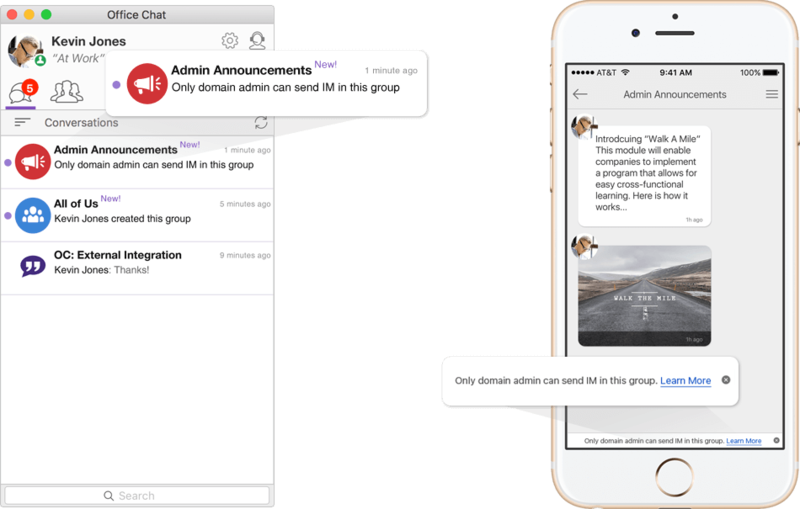 Office Chat offers a host of messaging features that make your interaction with your colleagues much more meaningful. Marking a message as important keeps the message at the top of the recipient’s inbox with a red label marked as “important” until they are read. Additionally, it generates a special notification sound to get the recipient’s attention overriding all mute settings. 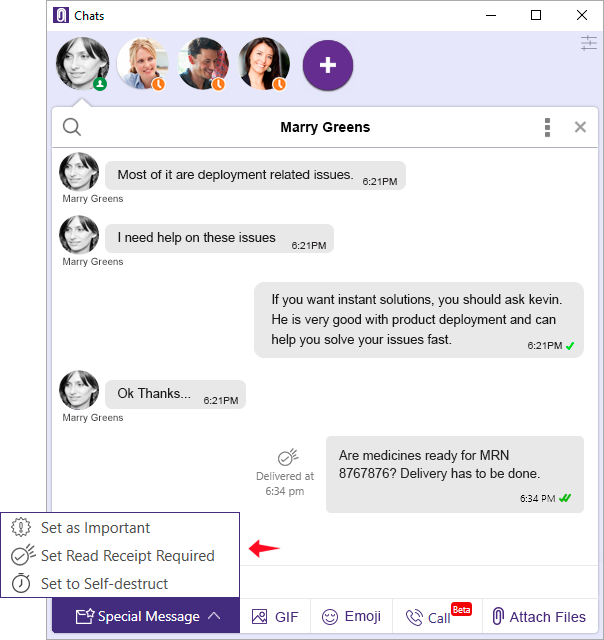 Office Chat also enables self-Destruct, read receipt and messages with special effects to ensure effective communication. Often the reason why employees are uninformed is when they are kept out of the loop from day-to-day happenings related to the entire workforce. Information such as new client acquisition, employee promotions, etc. are not timely shared with the employees and they often miss out on some important office-related news. With Office Chat default groups, the entire workforce always stays connected. These groups can be used to effectively communicate news and announcements from the management to all employees. This helps in fostering a company culture that inspires productivity and collaboration. Most organizations use multiple apps for variety of workflows such email for official communication, document sharing, software for storing and viewing documents, etc. With Office Chat, messages, files, groups and people can be easily searched within Office Chat. Despite any difference in time zones, employees will have real-time flexibility that is not provided by emails. Office Chat not only gives you the option to send text messages, but you can also share documents, videos and more. You can also upload files, images and video (any size up to 2 GB) in any conversation. Sharing images, videos, audio and GIFs is as easy as selecting the appropriate icon. With Office Chat, you can simply drag and drop attachments and files. 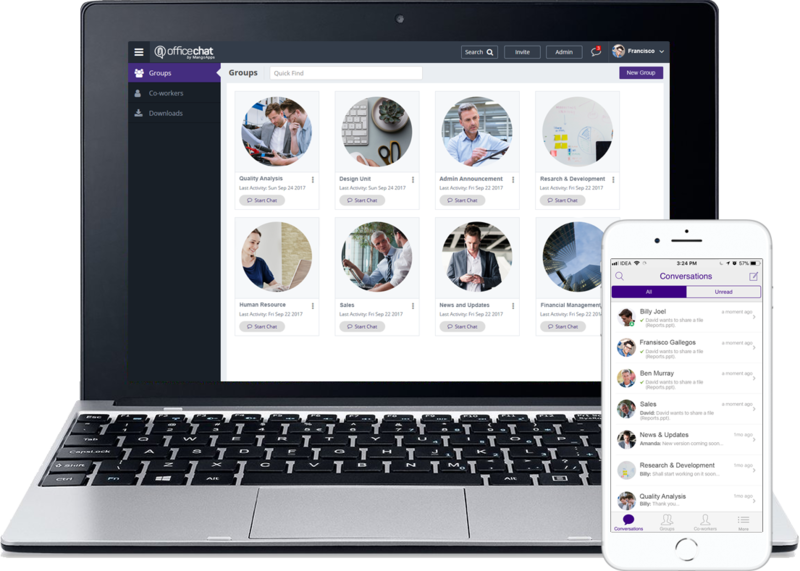 With over 100 GB of file storage and features to search chat history and even file contents, your remote workers can easily share relevant files and attachments with colleagues and managers. With Office Chat you can enable flexibility and accountability of your employees, all the while boosting the productivity of your firm. 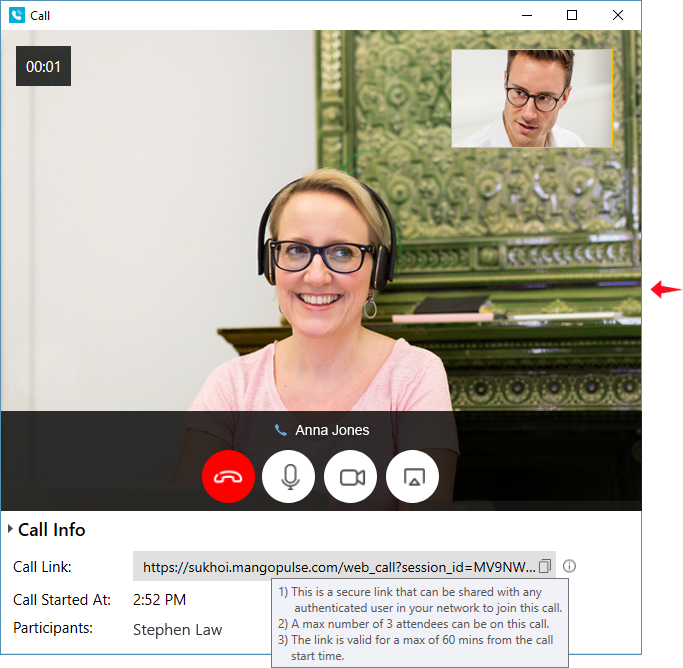 You can easily reach out to remote employees by ensuring high accessibility from multiple Office Chat platforms such as desktop, smartphone and web browser. You can use the online presence, custom status and huddle/video and voice call features to stay connected with your team. Messages, files, groups and people can be easily searched within Office Chat. Despite any difference in time zones, your employees will have real-time flexibility that is not provided by emails.